Gavin is a legal director in the Corporate Recovery team. Consistent exposure to a wide range of projects, together with a secondment at a firm of accountants, has allowed Gavin to develop an informed but commercial approach to law and a greater understanding of clients’ needs. 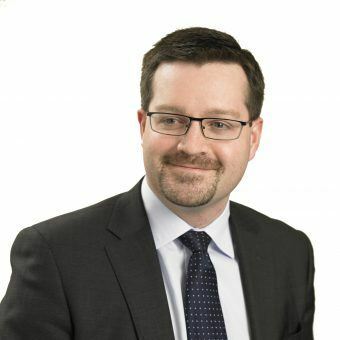 Gavin has significant experience advising insolvency practitioners and financial institutions on all legal matters arising from corporate and individual insolvencies. He has also advised directors in respect of their duties and liabilities. Advised administrators from one of the UK’s leading accountancy firms in respect of all matters arising from the administration of a financial services company, including the sale of the business and issues surrounding payment protection insurance (PPI) litigation. Advised administrators from one of the UK’s top four accountancy firms in respect of the sale of the business of a significant property development company based in the North West. Acted for and defended a ‘celebrity bankrupt’ in respect of proceedings brought by the Official Receiver and Trustees in Bankruptcy in respect of a number of issues relating to an estimated £70 million shortfall to creditors. Gavin is a keen golfer. He also enjoys reading, cooking and foreign films.